A buffet is a good place to start! These restaurants are easy to find in Seoul and will allow you to pile your plate high with anything that appeals to you. 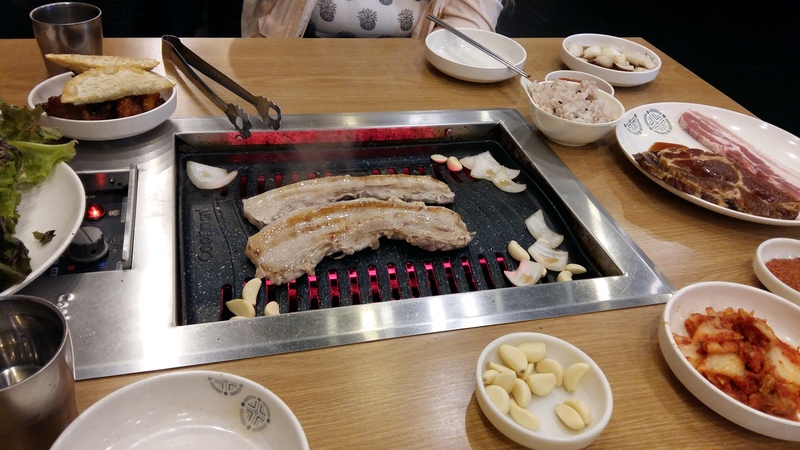 Thick, fatty slices of pork belly meat are called 삼겹살 (samgyeopsal) in Korean, and this is the best meal you will eat. Each restaurant has a different style of seasoning and side dishes, so it’s not even boring to order this all day every day. Seoul street food is incredible and inexpensive. 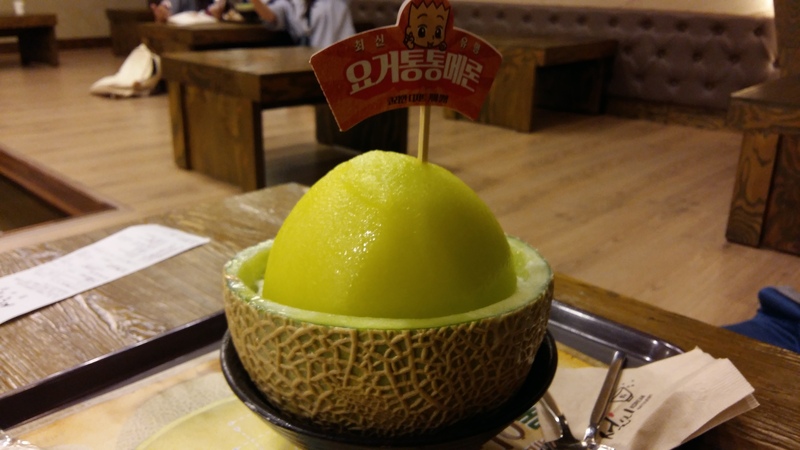 In tourist-friendly areas like Myeongdong and Hongdae, the options are endless. 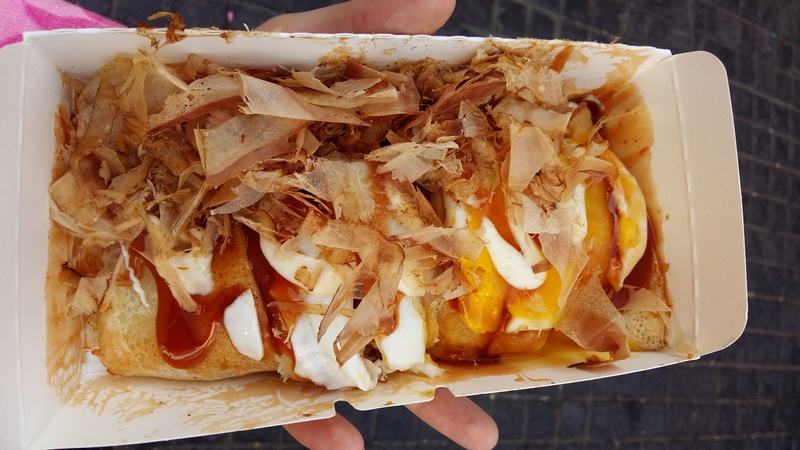 You can find more traditional street foods (like fried chicken and egg bread), sweet desserts (like towering ice cream cones), foreign favorites (like water cakes and takoyaki) and everything in between. You can even buy street cocktails! This is a quick, cheap meal you’ll find in a lot of small Korean restaurants. 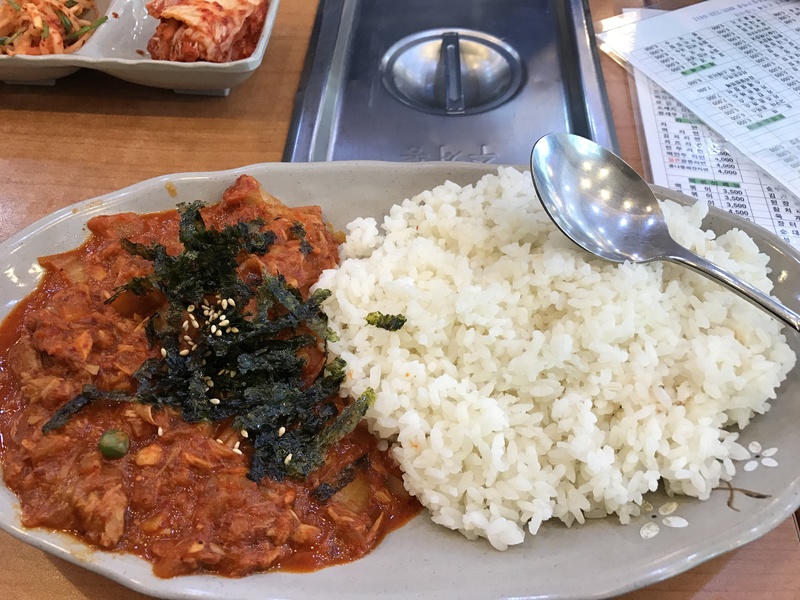 It’s called 김치 참치 덥밥 (kimchi tuna deopbap). It’s flavorful kimchi and meaty tuna and mixed with plain rice. Filling and delicious. Osulloc makes and distributes the most famous green tea in Korea. In addition to an Osulloc Museum on Jeju Island, the brand has many tea houses and cafés throughout Korea. 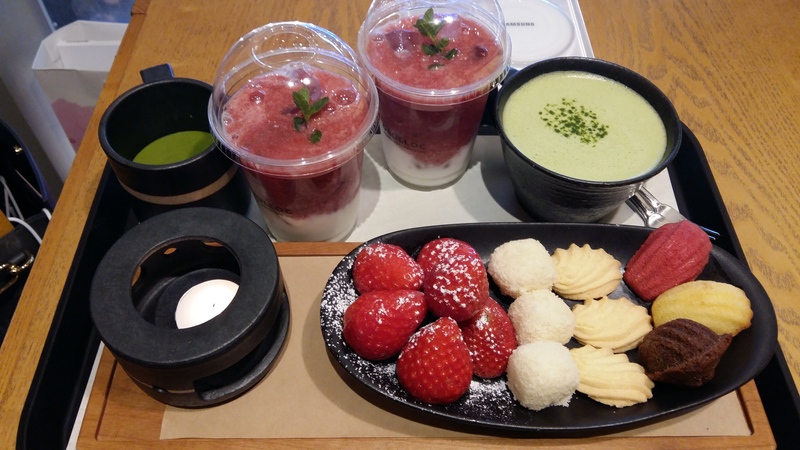 I definitely recommend the green tea fondue, which comes with strawberries, cookies and rice cakes for dipping, as well as a little candle to keep it warm. 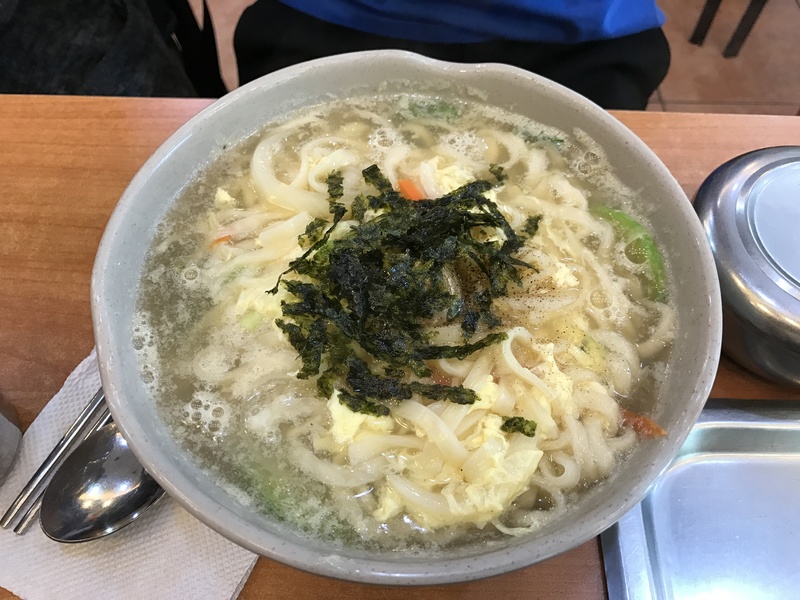 This is a follow-up to my post about the best Japanese ramen in Seoul. At Ittengo in Hapjeong, the basil pesto-infused ramen is worth waiting in the line that wraps around the block. 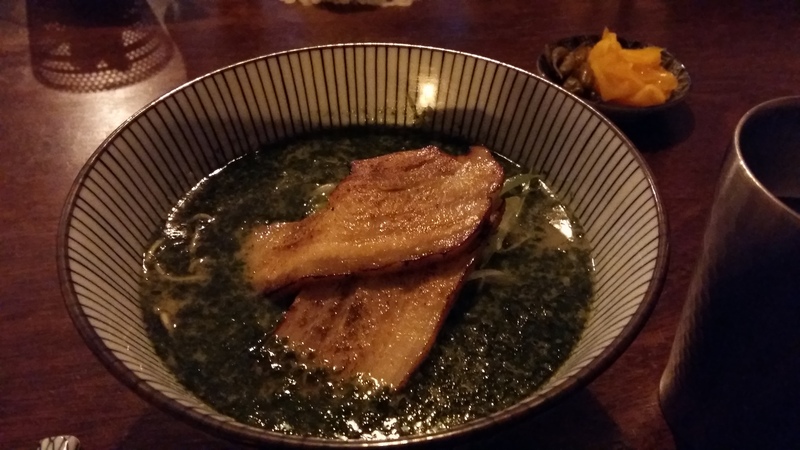 Dubbed Midori Kame (green turtle), this signature ramen is super rich and possesses a distinctive flavor. 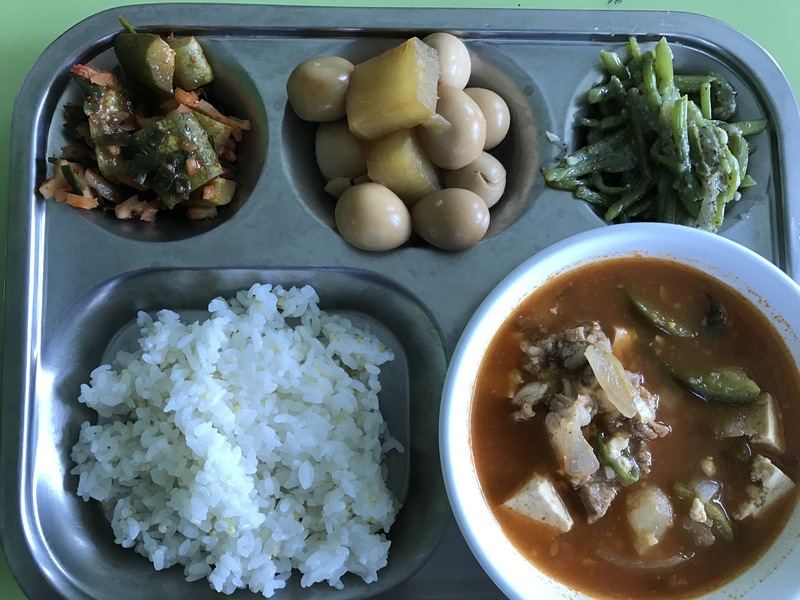 In Korea, lunchboxes are referred to as dosirak (도시락). 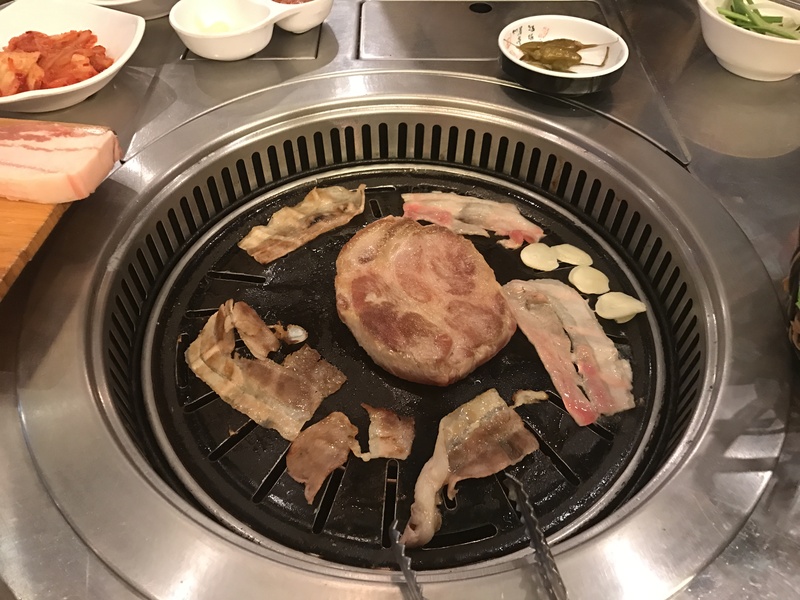 There are many different styles and infinite options for fillings, but they all usually consist of some rice, kimchi and several side dishes. You can find these at schools, in convenience stores and at restaurants around Korea. 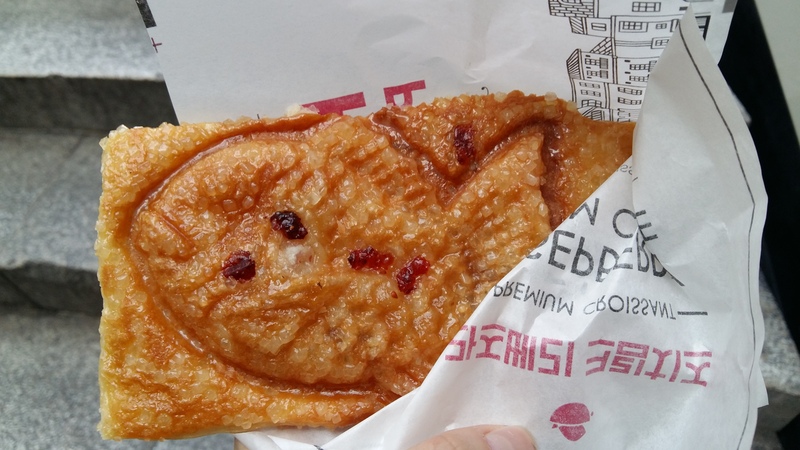 One famous Korean street food item is bungeobang (붕어빵), a fish-shaped pastry. Traditionally, these are filled with red bean paste, but they can be found with any number of sweet or savory fillings. No, we’re not finished with Korean barbecue. Next on your list to try is moksal (목살), which is marbled pork chop or neck meat. 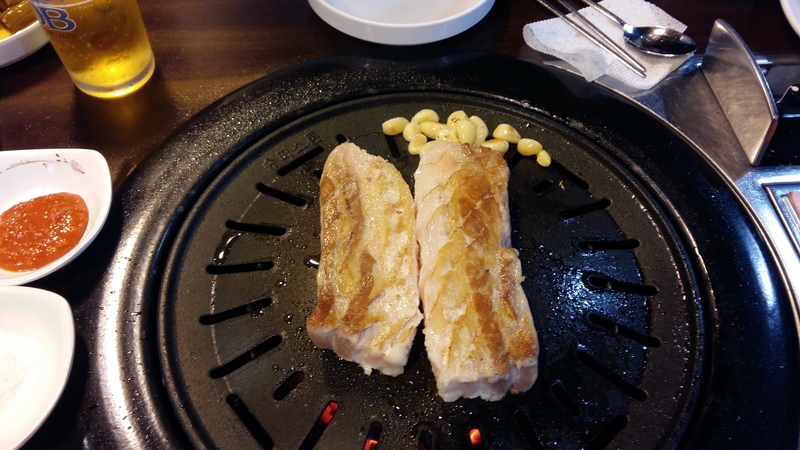 Less fatty than samgyeopsal, this meat has a completely different and more hearty flavor. 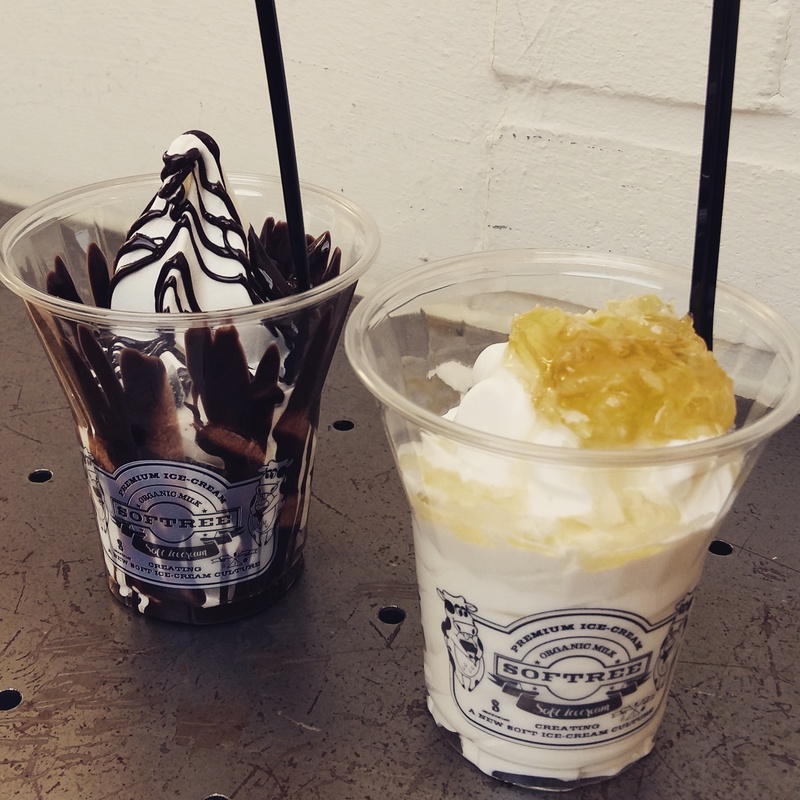 Ice cream comes in many styles on the streets of Seoul. 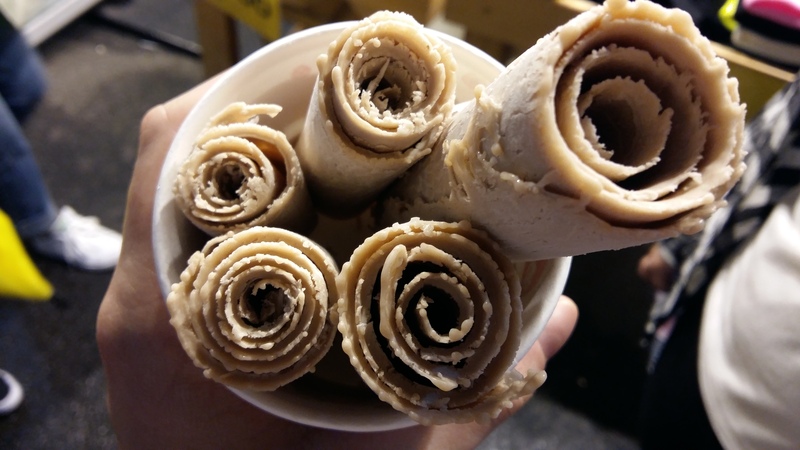 Rolled ice cream is one trend that originated overseas and became popular among Korean street food vendors. Ice cream is combined with different ingredients like cookies and candies before being rolled up and served to customers. Laksa is a spicy noodle soup popular in Singapore, Malaysia and Indonesia. Similar to curry, the broth is made with thick, spicy coconut milk and filled with noodles, seafood and vegetables. 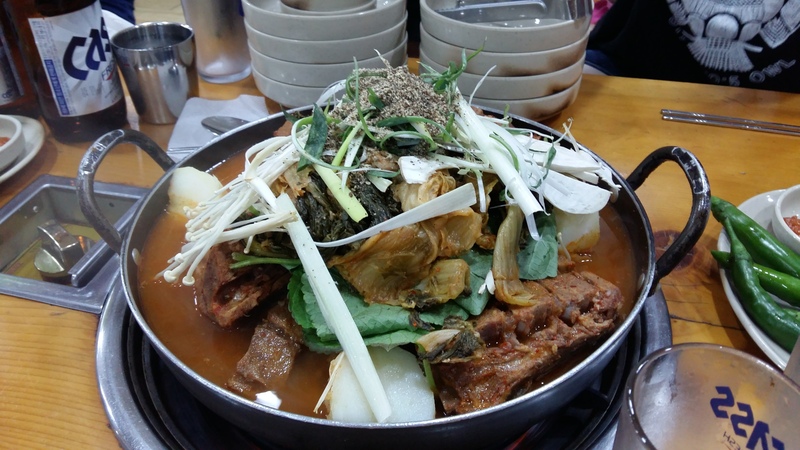 This interesting dish can be found in Seoul’s multicultural neighborhoods. 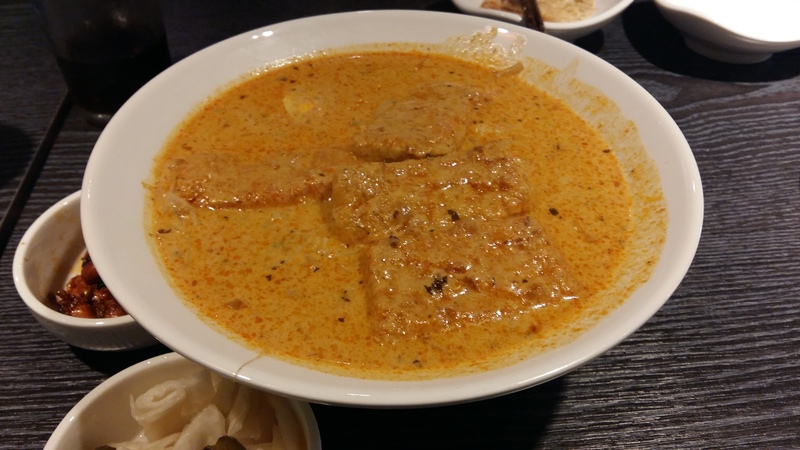 In Seoul, one of the most popular commonly-eaten foreign foods is curry. 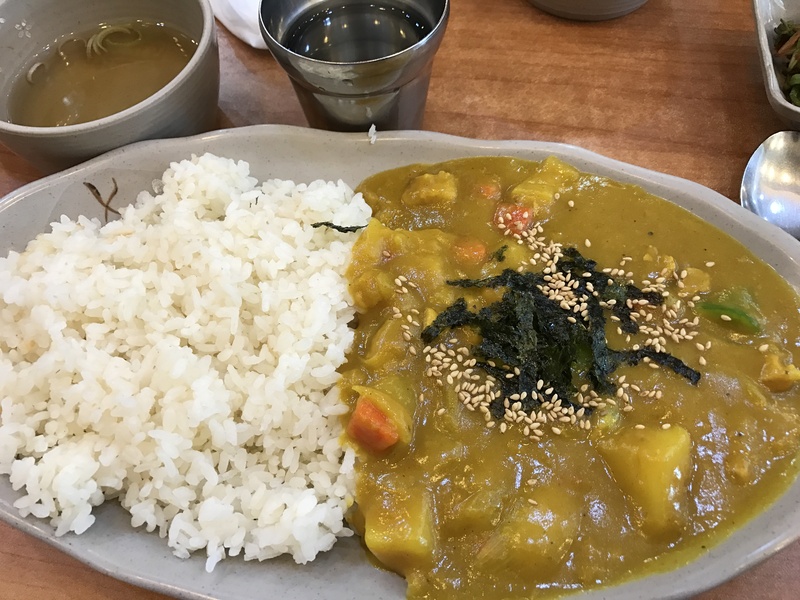 From Indian to Japanese-style curry, this dish can be ordered many different ways in many different restaurants. 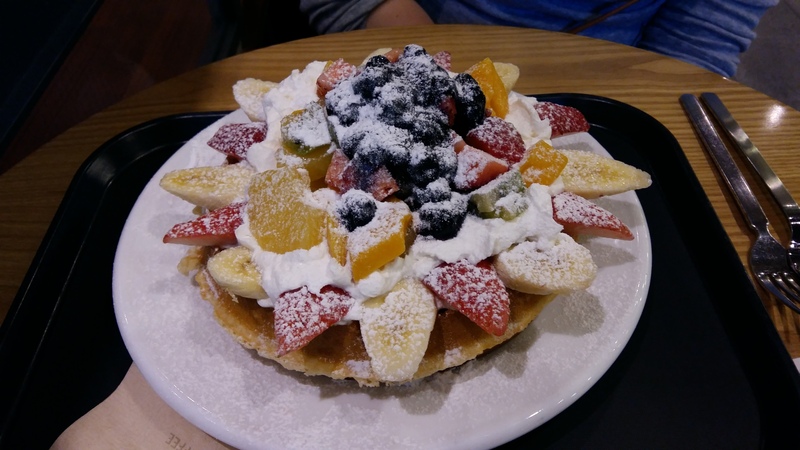 Waffles are another Korean street food not to be missed. 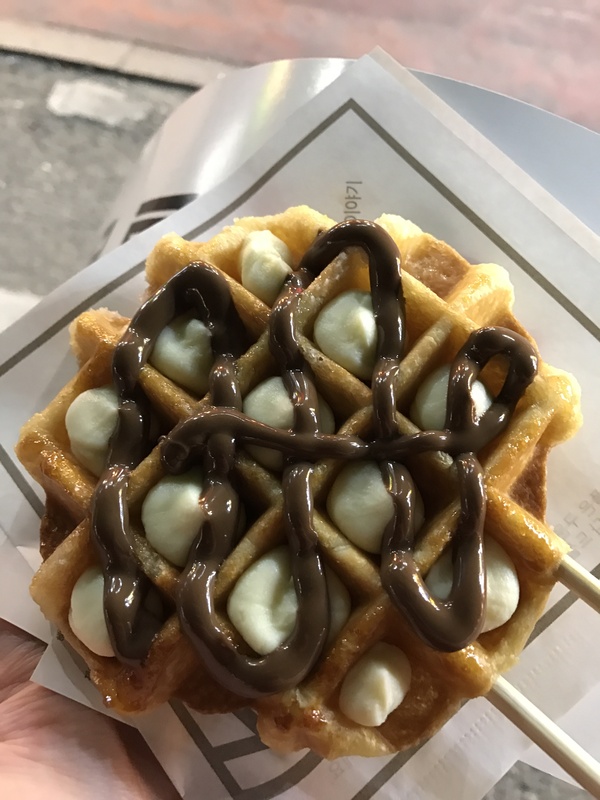 Nothing beats a piping hot, freshly-made waffle drizzled with your choice of delectable toppings: whipped cream, cream cheese, chocolate sauce, apples and cinnamon, etc. 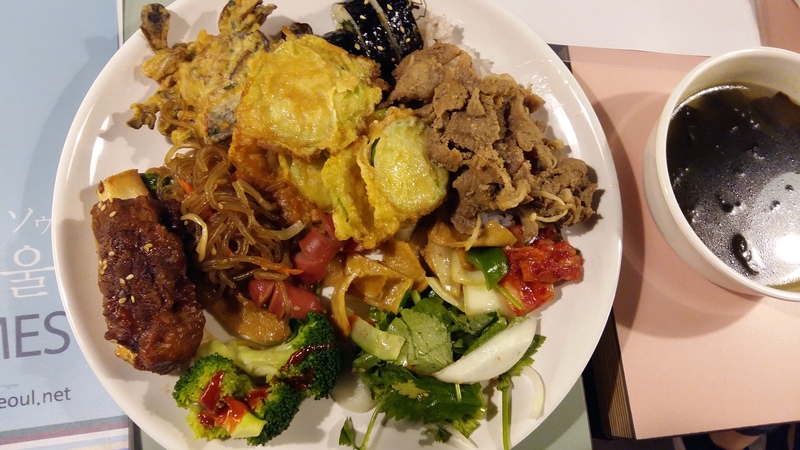 Not to be confused with a regular buffet, a Korean wedding buffet is an event all to itself. 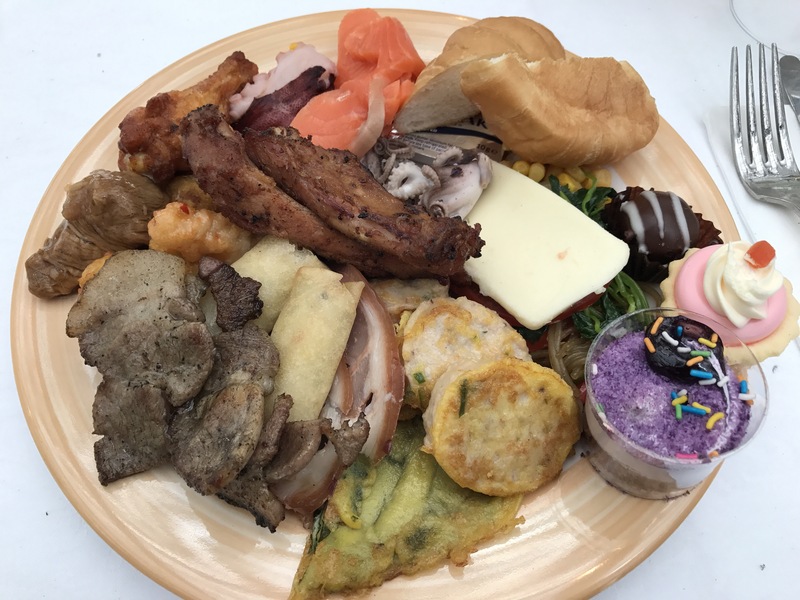 If you’re lucky enough to be invited to a Korean wedding, you’ll find that the ceremony is kept short and sweet before the guests are directed to an impressive buffet complete with all the Korean foods, Western foods, desserts and drinks you can imagine. Some Korean barbecue restaurants offer you the option of making bokkeumbap (볶음밥) or fried rice toward the end of your meal. 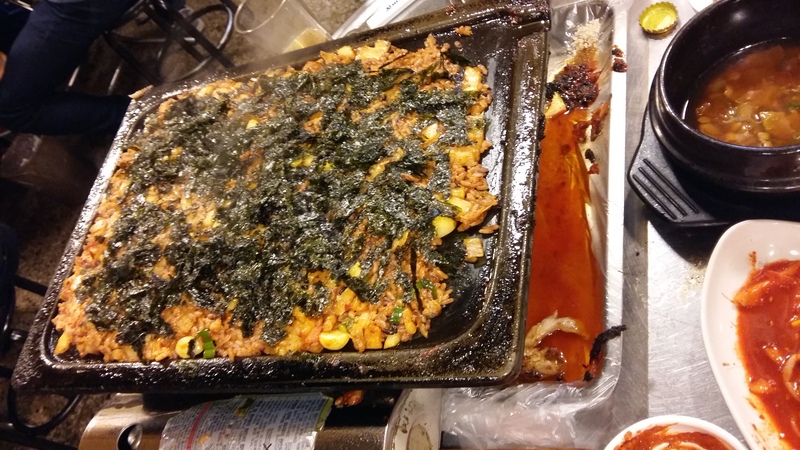 Rice mixed with kimchi and other vegetables is added to the leftover meat on your grill, topped with dried seaweed and cooked until it’s a lovely shade of golden brown. 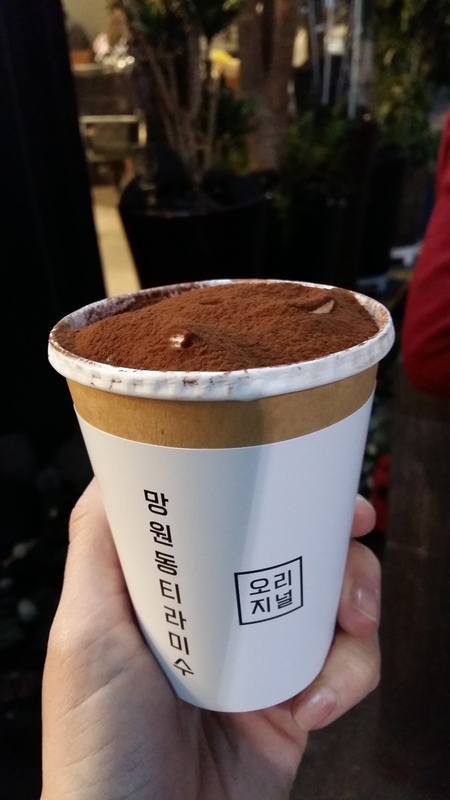 I don’t know why, but tiramisu recently became incredibly popular in Seoul. Trendy tiramisu shops popped up everywhere overnight, and now you can buy these delicious desserts in a wide variety of flavors on almost any street. Steamy soups are always a good choice on cold Korean nights, and I’ve recently grown pretty fond of Japanese udon noddle soup. 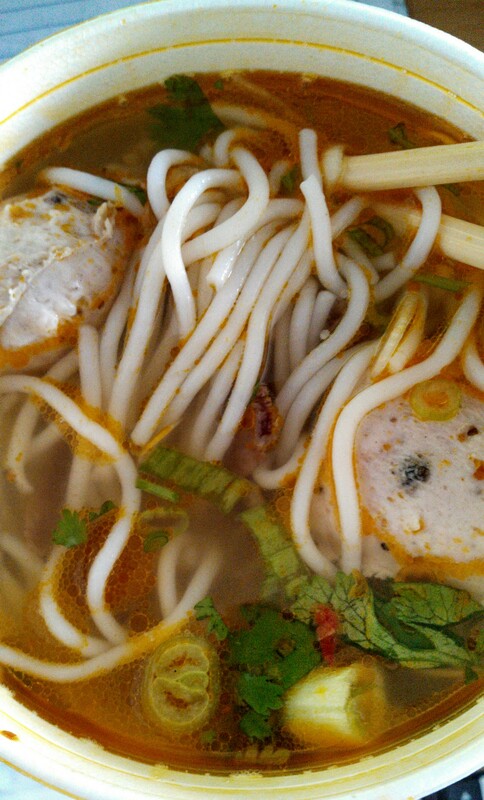 The thick, chewy noodles give it a more filling feel, and the distinctive flavor of the broth is addicting. Korean fried chicken is definitely unique and tastes amazing. 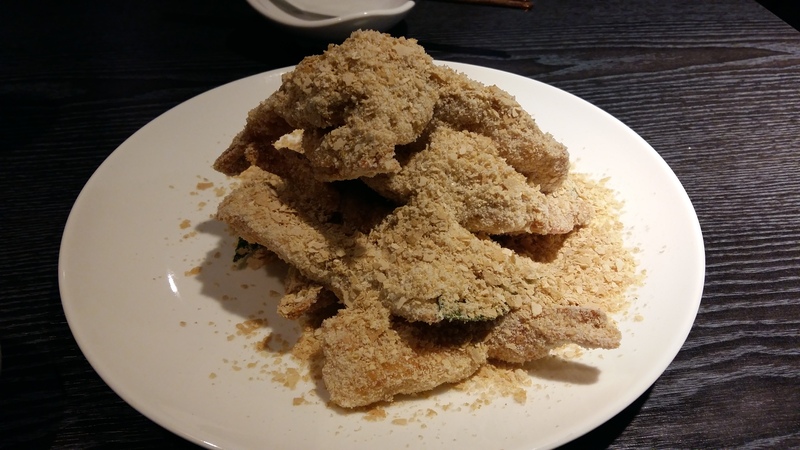 It’s lighter and crispier than Western-style fried chicken, and Korean restaurants are known to serve up some interesting flavors. 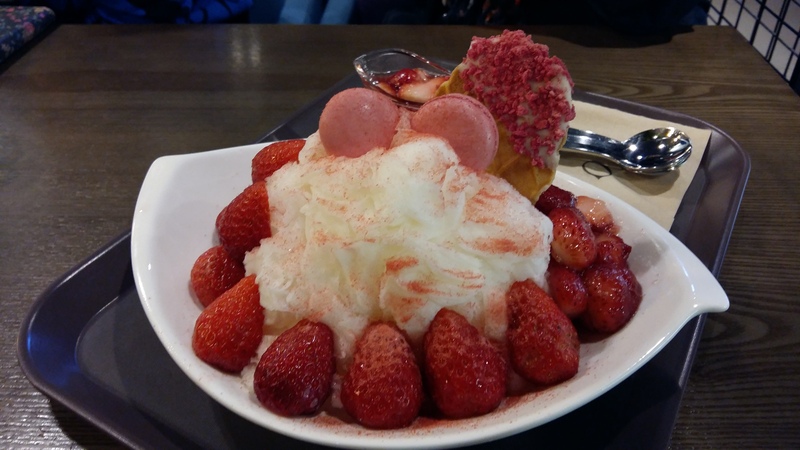 You can kill two birds with one stone here: visit one of Seoul’s most famous themed cafés and taste some of the most delicious bingsu in town. Outside of the Thanks Nature Café is a pen with real sheep you can meet. 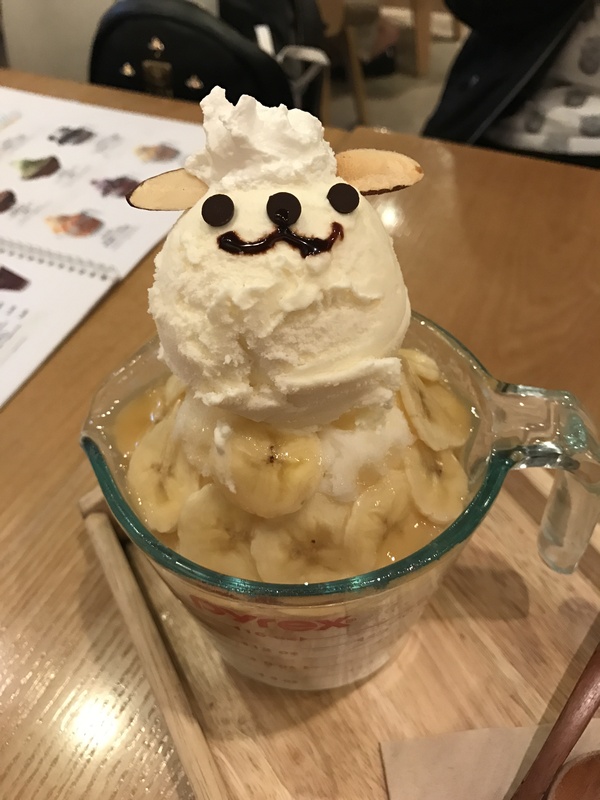 Inside, the restaurant serves super adorable and very tasty sheep-shaped banana ice cream treats. You can’t go wrong! Seoul is a very late-night city, so there’s not much going on in the early hours of the morning (unless you’re just heading from the club to grab some hangover soup, which is acceptable). Therefore, brunch is the perfect way to get a good start at midday. With all the cute, trendy cafés to choose from, there should be no trouble finding a great spot for brunch. This entry was posted in Food, Korea, Seoul, Travel and tagged banana, barbecue, barbeque, basil, beef, bingsoo, bingsu, bokkeumbap, broccoli, brunch, buffet, bulgogi, Bungeobang, cafe, chicken, chocolate, cocktails, coconut milk, cookie, curry, dessert, dosirak, 도시락, 목살, 볶음밥, 붕어빵, 김치 참치 덥밥, fondue, food, food trends, fried chicken, fried food, fried rice, green tea, green tea fondue, hapjeong, Hongdae, ice cream, Indian food, Indonesia, Ittengo, 삼겹살, japanese food, japchae, Jeju, kimchi, kimchi tuna deopbap, korea, Korean barbecue, Korean wedding, laksa, Malaysia, moksal, Myeongdong, noodles, one bite cafe, Osulloc, pajeon, pastry, patbingsu, pork, pork belly, ramen, red bean, rice, rice cake, rolled ice cream, salad, samgyeopsal, school lunch, seafood, seaweed, seoul, sheep cafe, Singapore, Singaporean food, soup, stir-fried rice, strawberry, street food, takoyaki, tea house, Thanks Nature Café, themed cafe, tiramisu, tourism, travel, tuna, udon, waffle, Yeonnam-dong, Yummy Kampong on July 6, 2017 by screamfmlondon. A while ago, a spicy-noodle-eating challenge became very popular (among competitive eaters and masochists, I can only assume). The challenge pits YouTubers against Korea’s spiciest instant noodles: Samyang Food’s Buldak Bokkeum Myun (which basically translates to “fire chicken stir-fry noodles”). Most people simply call this the Fire Noodle Challenge. I’m not sure what compelled me to take on the challenge. It was not too long ago that I would break a sweat trying to eat a bag of Flamin’ Hot Cheetos. But I’ve built up my spice tolerance so much since then! ‘I’m a new person,’ I thought. I would prove how far I’ve come by conquering the Internet’s most feared noodle. The instant noodles are prepared like most are: you heat the noodles in hot water, then strain out the water, leaving just the dry noodles. Two packets of seasoning come with the fire noodles. The first is full of sesame seeds and thin strips of seaweed for extra flavor, and the second is full of the dark red, gelatinous, spicy sauce. Mix these ingredients together with your chopsticks and dig in. At first, the noodles aren’t too spicy. The smoky chicken flavor is clearly present, and the slight zest only adds to it. About two bites in, I realized my mistake. I was in over my head. It was extremely fiery. Extremely. I felt like I should have been able to breathe fire if I opened my mouth. I moved my bowl several feet away from me, downed a bottle of water and gave it a few minutes. After taking a break, I convinced myself it wasn’t that bad. The challenge, after all, is to eat the noodles as quickly as possible. Surely, if you eat them fast enough, the spiciness won’t be able to catch you? I yelled, “Oh, god!” loudly and sprinted into the bathroom, where I ran my entire face under the faucet of cold water. I inhaled water through my nose, and I didn’t even care. Nothing helped ease the pain in my mouth and throat. It tasted like what I imagine being pepper-sprayed feels like. Tears streamed down my face as I stood, hunched over and trembling, in the bathroom, greedily scooping tap water into my mouth. There were a few Very Real moments where I seriously, honestly thought I might have to go to the hospital. Have people died from this? I should have done more research. 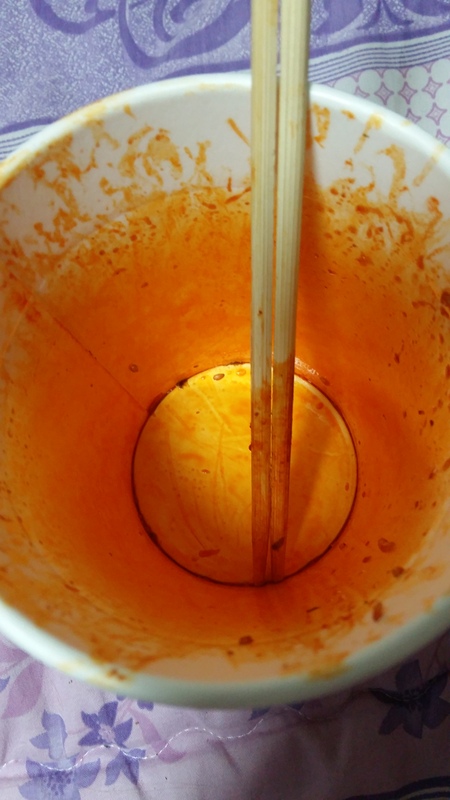 Was I going to be that one urban legend character that actually perishes after completing the super-spicy noodle challenge? Was that my fate? It seemed like hours before I regained my composure, but I have, now, made a complete recovery from the fire noodle experience. I do not actually recommend this challenge to anyone. It is a terrible idea. It is a Very Bad Idea. Please do not do this. Love yourself. Eat things that will not cause you bodily harm. Please. Take it from me: Buldak Bokkeum Myun is great for incapacitating your enemies, but it’s awful for dinner. 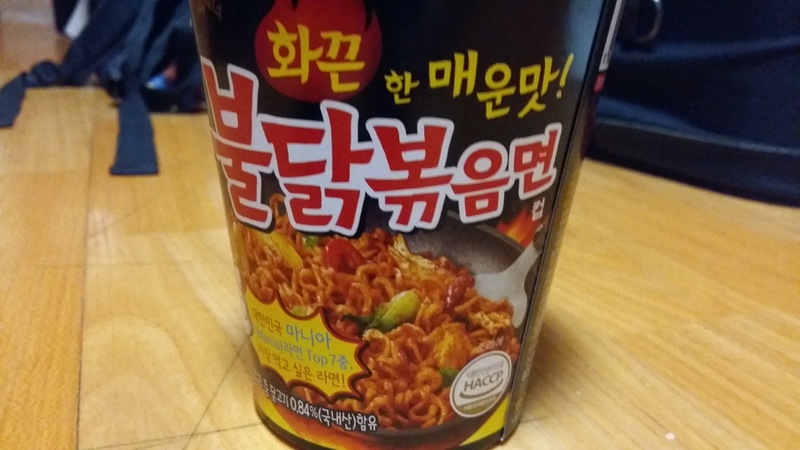 This entry was posted in Food, Games, Korea, Travel and tagged Buldak Bokkeum Myun, challenge, chicken, 불닭볶음면, fire noodle challenge, Flamin’ Hot Cheetos, food, food trends, instant noodles, korea, noodles, Samyang Food, spicy, stir-fry, youtube on October 13, 2015 by screamfmlondon. 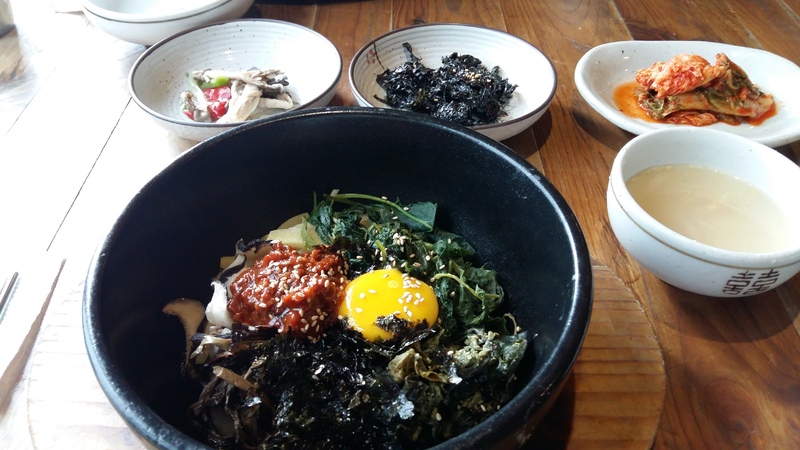 This entry was posted in Food, Incheon, Korea, Seoul, Travel and tagged barbeque, bibimbap, bingsoo, bingsu, cheesecake, dessert, dining, dolsot bibimbap, egg, food, food trends, Gamjatang, gochujang, ice cream, incheon, Insa-dong, korea, melon, patbingsu, pork, pork belly, restaurants, rice, seoul, shave ice, songdo, spicy, yeonsu on September 8, 2015 by screamfmlondon. Have you ever found yourself thinking, “The problem with desserts is that they’re just too corporeal”? Have you been longing for a more abstract — perhaps even metaphysical — after-dinner treat? Well, the search is over. It’s only a matter of time before you’ll come across this year’s most conceptual dessert trend: the Japanese water cake. 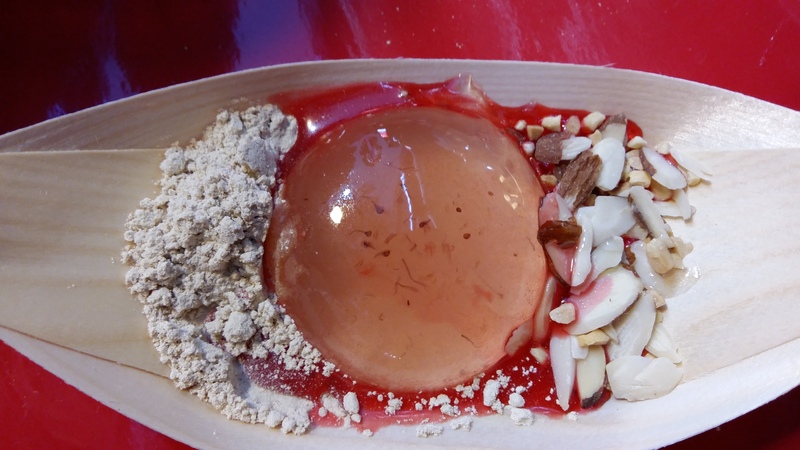 Mizu shingen mochi originated in the Japanese Alps, but it’s been gaining popularity worldwide this summer. 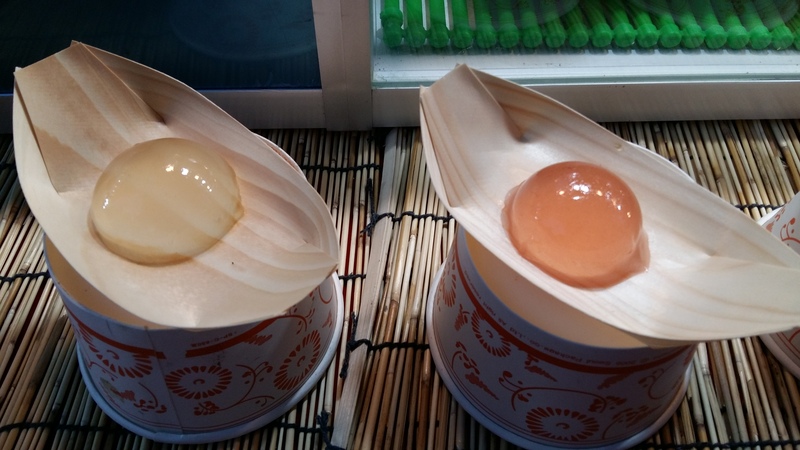 The cakes are round, translucent variations on the traditional mochi rice cakes, and they’re usually served with sugary syrup and kinako soybean powder on the side. While last year, the croissant-donut hybrid cronut had customers lined up outside Dominique Ansel’s New York bakery for hours and hours, these water cakes have customers trekking out to Yamanashi Prefecture (a two-hour drive from Tokyo), where they climb a mountain before reaching the hour-long line to order a dessert. And, like the cronut, the mizu shingen mochi is specifically trademarked to one owner: the Kinseiken Seika Company. Legend has it these special water cakes are jellies made using solidified water from one specific source on Mount Kaikoma and are so delicate that they’ll only retain their shape for about 30 minutes at room temperature. Although, now that they’ve reached the likes of Seoul and Orange County, Calif., I’m going to surmise that the process is a little less special and a little more like the making of Jello Jigglers. The cakes are pretty cool to look at — but they’re kind of just gelatin in a fancy outfit. The soybean powder is the best part, adding a much-needed punch of texture and flavor to the relatively tasteless treat. Water cakes are worth a try for the novelty, but nothing to get worked up about. This entry was posted in Food, Korea, Seoul, Travel and tagged cake, cronuts, dessert, dining, Dominique Ansel, food, food trends, gelatin, japan, Japanese Alps, japanese food, jello, kinako, Kinseiken Seika Company, mizu shingen mochi, mochi, Mount Kaikoma, Myeongdong, new york, orange county, seoul, soybean, street food, tokyo, water cake, Yamanashi Prefecture on July 5, 2015 by screamfmlondon. 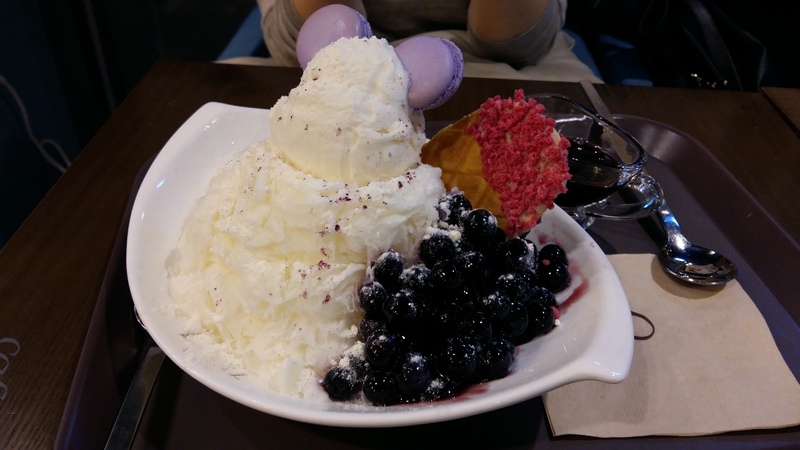 This entry was posted in Food, Incheon, Korea, Seoul, Travel and tagged bingsoo, bingsu, cafe, Caffé Tiamo, dessert, dining, food, food trends, fruit, honey, honeycomb, ice cream, incheon, korea, patbingsu, restaurants, seoul, shave ice, soft serve, softree, songdo, squid ink, waffle on June 1, 2015 by screamfmlondon. Burgers used to be a food of backyard barbeques that could be bought for $1 at McDonalds. But ever since my first bite of an Umami Burger, I’ve known that they’re capable of so much more. Everything about these burgers is expertly-crafted and deserving of the hype that surrounds them: the crunchy onion strings and chewy bacon lardons on the Manly Burger, the creamy and gooey cheese on the Truffle Burger, the flavorful parmesan crisp and fresh vegetables on the namesake Umami Burger. I feel like I’ve spent half my year dreaming about, raving about and then eating Umami Burgers, and I’d do it again given half the chance. 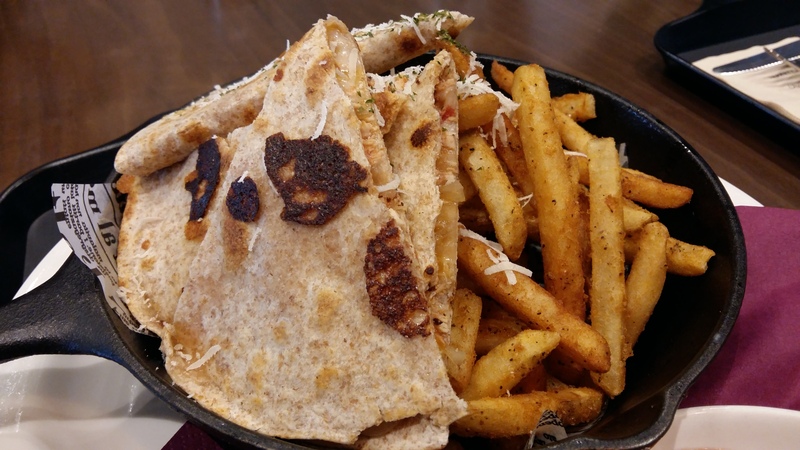 Additionally, Umami Burger’s rich and delicious truffle cheese-covered shoestring fries are solely responsible for launching my insatiable obsession with truffle oil. So, thanks for that. For years, I asserted that I didn’t like pho. And that I wasn’t particularly into soup in general. Nong Lá was an unexpected game-changer this year. I was somehow compelled to order the bún bò Hue, a spicy beef soup made with lemongrass, vermicelli noodles, pork patty and beef shank, topped with white onions, green onions and cilantro. The restaurant is charming and modern, and the meal was initially delicious, but the most surprising element was that I ended up wanting to eat bún bò Hue again and again, all the time. I even went to other Vietnamese restaurants and consumed other pho! So out-of-character! Nong Lá’s influence had a ripple effect through my diet: I thought, if Vietnamese food is actually delicious, what about Thai food? And Indian food? And Mediterranean food? Could it be that there is more to cooking beyond deep-frying? Could it be?! Yes, I suppose it could. Speaking of Mediterranean food, two of the best-tasting and least expensive restaurants I discovered in Los Feliz, coincidentally, serve Mediterranean food. At Spitz, the star of the show (besides the cocktails, because the cocktails rule) are the street cart fries – well-seasoned fries topped with garlic aioli, feta, onion, green pepper, tomato, olives, pepperoncini and chili sauce. At the Sidewalk Grill, I like to be the master of my own destiny and create a meal combining a chicken kabob wrap (lettuce, cucumber, tomato, pickle, hummus and tasty garlic sauce) with a side dish like tabouleh or a Greek salad. No joke, I once ordered a Greek salad. A Greek salad is just cucumbers, tomato and feta, friends. See how far I’ve come? I’m not the man they think I am at home. There isn’t really a good life-affirming story about Plan Check. It didn’t really change my perspective on food in any capacity. It’s just really, really good. They serve a weird pastrami poutine featuring gravy and cheese on top of thick, chewy fries that is just rich and delicious. 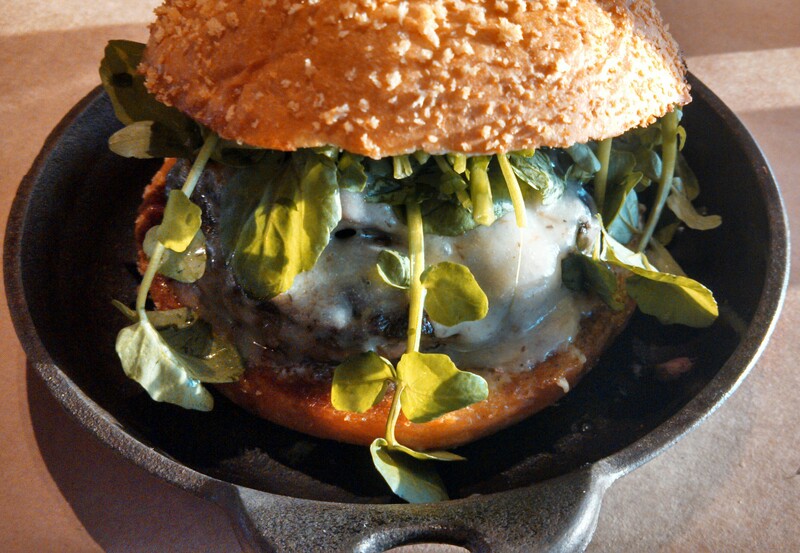 And, really, the burgers at Plan Check are some of the best I’ve ever tasted. Something about the crunch-covered bun, the mini-skillet they’re served in to contain the juices, and the fresh (and unusual) toppings like pig candy and ketchup leather. It’s just really innovative and, most importantly, effective. The fresh-cooked cruller donuts covered in cinnamon sugar and served in cream and fresh fruit are pretty killer as well. I hear gourmet cupcakes are a thing of the past. Talk turns to donuts as the next big dessert trend. I blame all those weirdos who pay $50 for boring cronuts (a donut-croissant hybrid). But nothing will ever replace cupcakes in my heart. 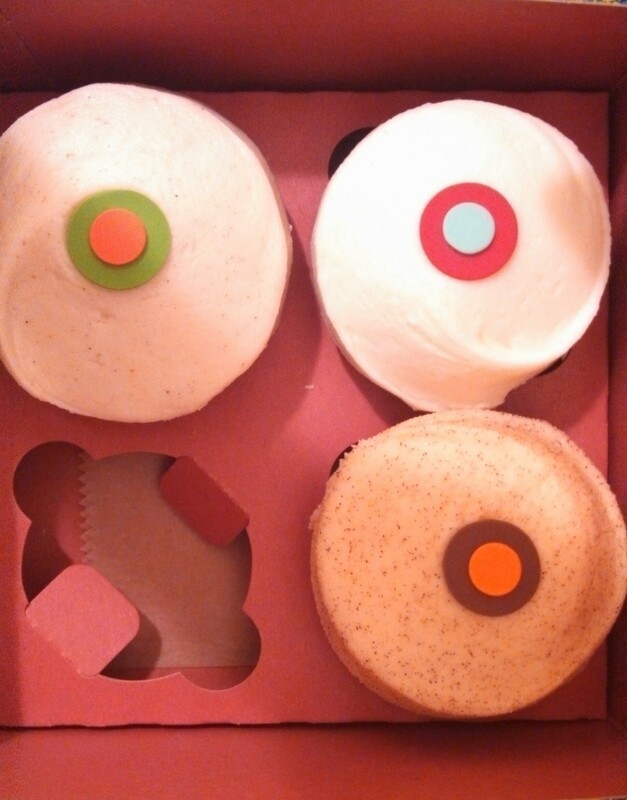 I will love cupcakes forever, and Sprinkles Cupcakes have done right by me this year. This ritzy cupcakery is located in Beverly Hills and has become famous as the home of the 24-hour cupcake ATM. I enjoy making a game of the cupcake schedule, trying to coordinate a trip on days they’ll be serving up the best treats. The pumpkin cupcake is particularly great (but only seasonal!). The moist cake is more muffin-like than super sweet, and the cream cheese frosting is a perfect complement. My passion for fancy cupcakes will never die. Has my palate matured with age? Did I just destroy all of my tastebuds with too many microwave dinners? Do they just not ship any good tomatoes to Reno? I don’t know what makes the difference, really. Probably a combination of the above-mentioned factors. – More vegetables you hated as a kid that turned out to be delicious later in life. Brussels sprouts! Asparagus! Avocado! – More brunch. Day-drinking and dessert-disguised-as-breakfast in the early morning hours! – More burgers. Literally every gourmet burger in the world! I’m coming for you! – A wider variety of cultural cuisines. Korean barbeque! Thai noodles! Fancy ramen! Japanese food trucks! Spices! – More fruit. Smoothies! Juice cleanses! Wow, I’m excited. Basically, I have 235 places bookmarked on Yelp, and I’m not allowed to die until I’ve tried them all. Away we go. This entry was posted in Food, Los Angeles and tagged 2013, 2014, beverly hills, bun bo hue, burgers, cooking, cronuts, cupcake atm, cupcakes, dessert, dining, donuts, food, food trends, gourmet burgers, greek, hollywood, los angeles, los feliz, mcdonalds, Mediterranean, new year, new year's resolutions, nong la, pho, Plan Check Kitchen + Bar, restaurants, santa monica, sawtelle, sidewalk grill, spitz, sprinkles cupcakes, tabouleh, truffle oil, truffles, umami burger, vietnamese, westwood, yelp on December 31, 2013 by screamfmlondon.